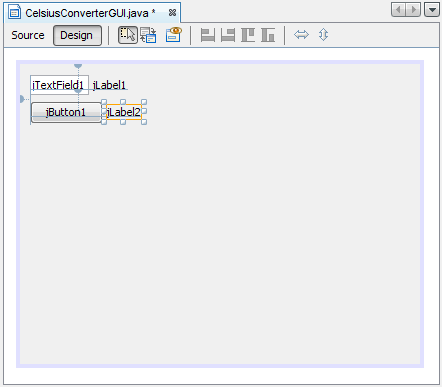 im a begginer with the gui code , i tried to add an image by making an imageicon then adding it to a Jlabel nd finally adding it to my frame all this while trying to put a button in front of the label but i cant seem to get it right , plz help package eg.edu.guc.dvonn.gui; import java.awt.event... The above code sets the image totally as the background. If your requirement is to set the image as just a icon, then you can use the JLabel, and the component to the panel. If your requirement is to set the image as just a icon, then you can use the JLabel, and the component to the panel. 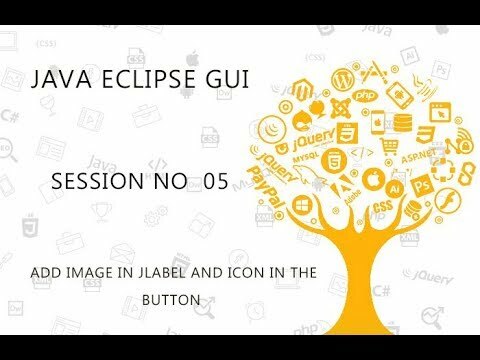 im a begginer with the gui code , i tried to add an image by making an imageicon then adding it to a Jlabel nd finally adding it to my frame all this while trying to put a button in front of the label but i cant seem to get it right , plz help package eg.edu.guc.dvonn.gui; import java.awt.event... To change the image you will need to provide a setter in your panel. Inside the setter, set the image reference to the new image reference you get and call a repaint. Inside the setter, set the image reference to the new image reference you get and call a repaint. 1/04/2010�� talking about putting image icons into your window.... Okay I have tried different ways but I can not get the button to change into an image. I know the file source is right because when I upload it as just an image it works fine. 3/02/2010�� How can i display an image on a Java frame .Also how to get the fading effect on the Java GUI, like i want that the current contents on my GUI should fade away and new contents should appear without using a new window or frame when i click on OK button. 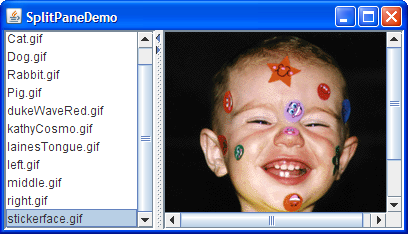 This program discuss how can we display an image on a swing JFrame in Java. Suppose we want to display an image over the JFrame then there is no easy method in swing to do so. This program will tell you how to add the images on the frame easily.